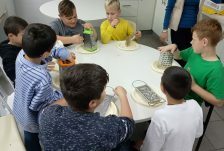 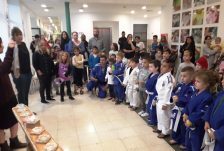 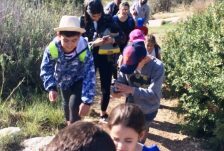 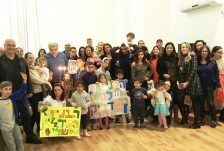 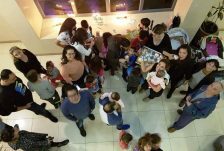 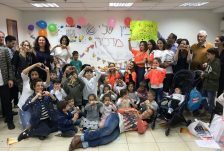 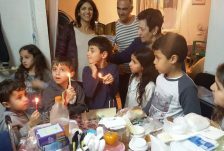 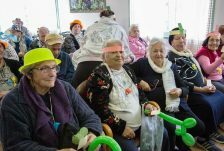 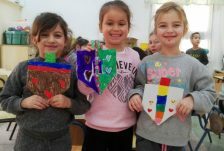 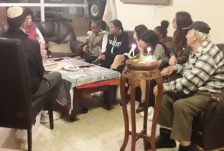 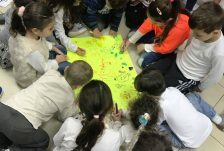 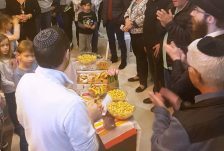 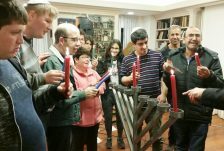 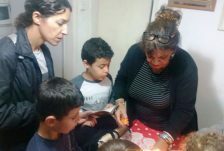 Hundreds of Israelis across the country participated in exciting, festive candlelighting events this Chanukah, thanks to 32 Jewish Cultural Facilitators from OTS’s “Yachad” Program. 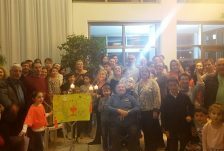 From the north to the south, spanning 80 communities including Katzrin, Yokneam, Petach Tikva, Rechovot, Tel Aviv, Jerusalem, Ashkelon, Arad and even Eilat, the Yachad facilitators brought the joy and meaning of Chanukah to Israelis of all backgrounds, beliefs and ages.”The Candle that Connects,” “The Light Brigade,” “Our Brothers in Uniform,” and “In the Footsteps of the Maccabees” – these are the names of some of the unique Yachad projects run across the country. 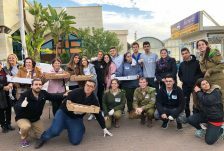 Events ranged from neighborly celebrations in the lobbies of luxury hi-rise buildings to mixed secular-religious youth delegations visiting Holocaust survivors and hospital patients; from organizing youth-at-risk to distribute jelly donuts and light candles with soldiers to historical outings tracing the Hasmonean battles.As with all Yachad programming, facilitators tailored the initiative to their respective communities, but in all cases, the magic word was “connection” – as everyone came together over candles and sweets, warmed and enlightened by their shared Jewish heritage. 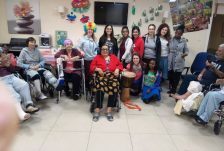 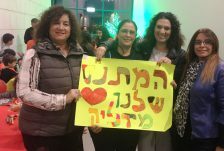 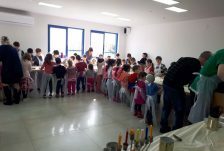 In Netanya, for example, Yachad facilitator Galit Hamber ran the Yachad project called “Our Building Illuminates” for the second year in a row. 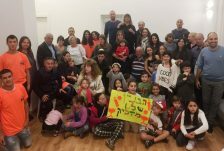 More than 500 Israelis participated in her campaign to bring neighbors together in celebration of their common ground: Judaism. 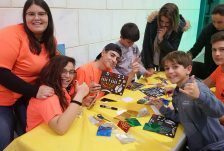 In each of the participating buildings, dreidel games and art activities were run by orange-shirted “Yachad Jewish Renewal” squads, comprised of 11th and 12th graders from the local secular school who Galit recruited and trained specially for the project. 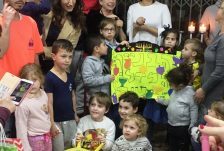 These were followed by joint candlelighting, singing of Chanukah songs, eating of the compulsory Chanukah donuts and spirited dancing. 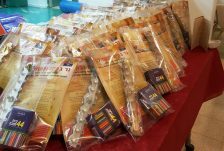 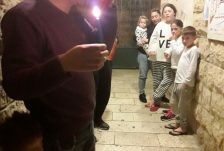 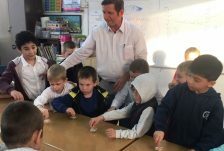 In the coastal city of Bat Yam, Yachad facilitator Roi Peretz ran another Yachad program, “Giborim Madlikim”- which means, literally, Heroes Light Candles, while figuratively implying that heroes are awesome. 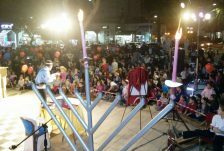 “Chanukah is all about the heroic few who successfully defeated the mighty many,” Roi explained. 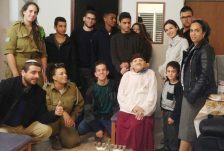 “We have heroes in our midst who also display great courage and dedication every day in their work, risking their lives with fire day after day as they protect the people and land of Israel. 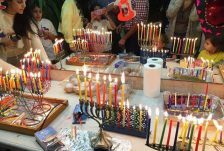 Chanukah – the holiday of fire and bravery – is a great time to remember them,” he says. 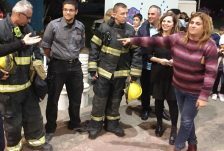 Roi worked together with the city’s fire department and education department to create an event in which firefighters were called to fight a blaze; when they arrived at a local school, they were “surprised” by hundreds of children who greeting them with handwritten notes, jelly donuts, song and dance. 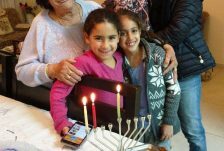 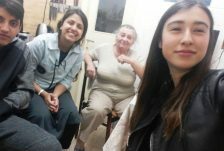 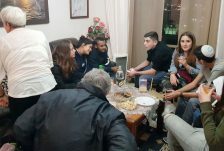 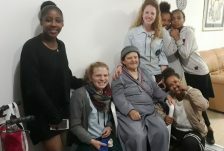 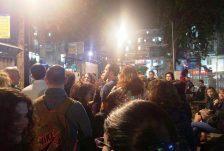 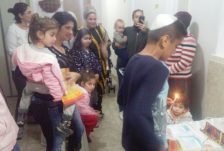 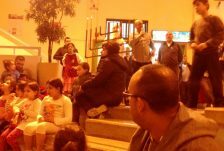 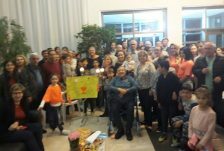 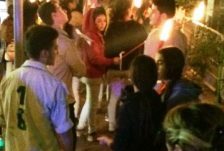 Eli, a resident of Acco, summed up the Yachad candlelighting event he attended at his local community center: “It really didn’t matter who was secular and who was religious,” he said. 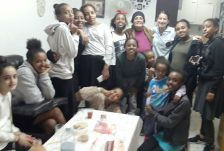 “We all felt it in the room: the togetherness, the cohesiveness, the bond. 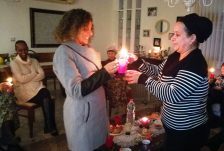 It sounds like a cliché, but the light of the candles really did warm our souls and connect us deeply to one another. 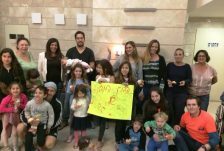 Not one person walked out of that room unaffected,” he declared.